Welcome to the St.Amant blog and news page. Here you will find the latest news, event activites, and other useful information to better enjoy St.Amant wines. Another Award Winning Year for St. Amant! St.Amant won a trio of Gold Medals at the 2015 San Francisco Chronicle wine competition held in early January. Below are the award winning wines. St.Amant has also been blessed with some good recent press. "The wine is a ruby to garnet color. The enticing nose has brambly berries, warm baking spices, dusty minerals, black pepper, dark bittersweet chocolate, vanilla bean, dried flowers and a touch of subtle earthiness. This has a fairly full body with soft to moderate tannins and good acidity. The spicy, brambly berries coat the palate on the front end with dusty minerals, black pepper and dark chocolate coming in later. The finish has nice length with a nice floral note and subtle earthiness joining the berries and spice. This is a very easy wine to enjoy now and over the next couple of years. (91 pts)"
Alder Yarrow writing for Jancis Robinson's website recently wrote a very complimentary article on our Lodi Native Zinfandel project that we are involved in. He called the Lodi Native project, "One of the most exciting things to happen to California wine in years." "Light to medium garnet in the glass, this wine smells of candied cherries, candied plum, and cola. In the mouth, cherry cola, candied plum, and wonderfully juicy strawberry flavours have a faint and charming sweetness to them, while suede-like tannins add grip to the palate. Quite juicy thanks to excellent acidity. Delicious. 17.5"
Not a fruit bomb, it’s suave and complex. Aged in neutral oak, this limited-production wine shows baking spices in aroma, a smooth, lush texture and good concentration. Plum and blackberry flavors are layered, sophisticated and linger on the finish. It’s full-bodied, but has enough tannin and acidity to balance out the richness." 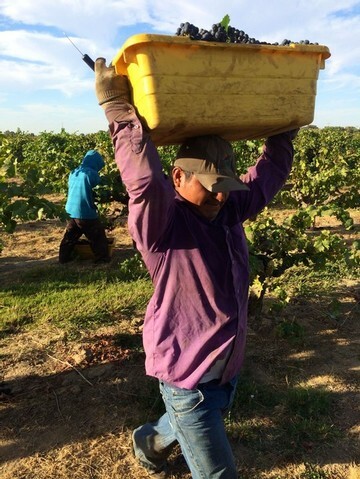 Thanks goes out to Randy Caparoso, Lodi Winegrape Commission blogger for putting together the two video pieces about on our 2014 Marian's Vineyard Harvest & Crush. Speakeasies replaced saloons, and provided well-to-do Americans with clandestine drinking establishments. These bars were hidden from public site, often behind secret doors and passages, and many required patrons to utter passwords to gain entrance. Our longtime customers are all probably well aware of our beginnings in the wine business as my father bootlegged our 1981 Vintage Port out of a less-than-reputable winery that refused to pay us for our grapes. That began our adventure in the wine business, but the similarities to Prohibition run far deeper than our bootlegging past. For many years, my father operated what could best be described as a modern day Speakeasy. There were no signs directing patrons to our entrance, guests often circled the building looking for the front door, and if they happened to make it that far, they were often greeted with a brusk, “Did you call for an appointment?” That phrase was more than just a question – it was a test, and if you passed, you gained admittance to the St.Amant Speakeasy. You were told the call sign - that if the blue pickup was parked out front, St.Amant was open. Clearly my father never attended the Disney school of customer service, but it worked for him, and many customers came to love his direct style. But at the end of the day, he always let the wines speak for themselves, and more often than not, they spoke well. 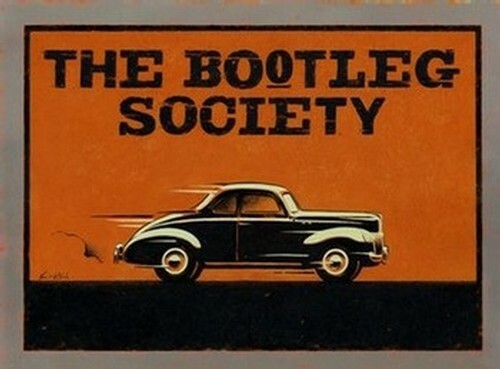 So when we decided to create our wine club, it seemed fitting to name it the Bootleg Society, a name that reflected not only our beginnings in the business, but the spirit of the brand and our against-the-grain approach to wine. We also wanted to create a piece of art that helped identify and give our club its own personality. I turned to my good friend and artist Vince McIndoe. I had come to know Vince through Zinfest – I had worked with him to create the iconic posters that helped define and promote Lodi’s premier wine event. We had become good friends and I knew he could create the perfect poster for our wine club. The poster has been a hit! We even created a new wine, our Speakeasy Red that features the poster art on the label. It’s been a very fun project and we look forward to creating more prohibition themed events, wines and experiences for our loyal club members. National Zinfandel Day Celebration, November 17th - November 19th! Lodi Tour of Tempranillo, November 10th - November 12th!